Unai Emery is set to be appointed as Arsenal’s new manager. ARSENAL are set to appoint former Paris St Germain coach Unai Emery as their new manager to succeed Arsene Wenger, according to reports. Emery, who joined PSG in June 2016, left the French club at the end of this season, having led them to a domestic treble in France. The BBC reported that the recruitment process was led by Arsenal chief executive Ivan Gazidis, head of football relations Raul Sanllehi and head of recruitment Sven Mislintat and that an announcement and a news conference was expected later this week. Unai Emery at a PSG match last weekend. It comes the day former manager Wenger waved goodbye to the club's training ground as the speculation continued over his replacement. 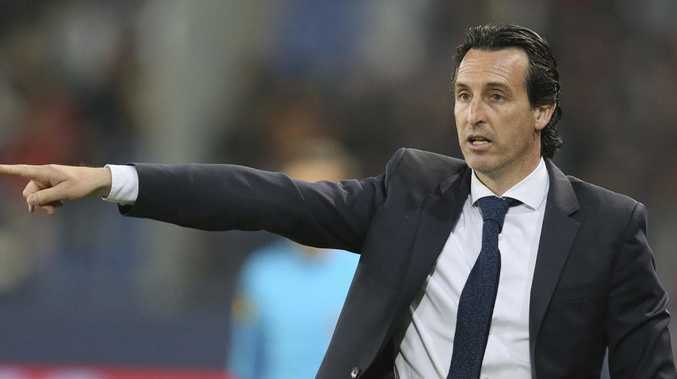 While Emery had helped PSG continue their domestic dominance, his departure was assured when they failed to make significant headway in the Champions League for the second successive campaign. PSG, who have won five French league titles in six years and are owned by big- spending Qatar Sports Investments, have struggled for success on the European stage. 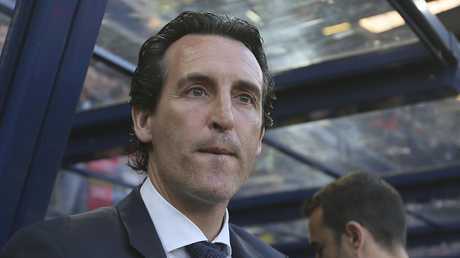 Emery's team were beaten in the last-16 of the Champions League by Real Madrid this season despite breaking the world transfer record to sign Brazil striker Neymar, and were knocked out at the same stage last season by Barcelona. Neymar was bought for 222 million euros ($A345 million) from Barcelona in the close season to help increase PSG's chances of winning Europe's elite club competition, and Emery was widely held responsible for their disappointing Champions League campaign. It is the first time Arsenal have searched for a new manager since 1996, with Wenger departing at the end of this season after nearly 22 years at the North London club where he won three Premier League titles and seven FA Cups. Ex-Gunners captain Mikel Arteta has been heavily linked with succeeding Wenger, whose near-22-year reign ended following the final match of the English Premier League campaign at Huddersfield. But outspoken former Arsenal forward-turned pundit Ian Wright, speaking to BBC Radio 5 Live, said: "It's like they're at the sushi shop. "You know the stuff that's just going past? Yeah, I'll have that. I'll take that. I'll leave those ones. No, I'll take that one now. "What's going on at Arsenal, where's Unai Emery come from? I can't get it out of my head."